Join us in Nashville as we share and learn about leadership practices that promote high levels of employee engagement to build a culture of excellence across your organization. Our partners will share strategies they used to attract, retain, and develop the best professionals in service to stakeholders of all kinds. You’ll hear from leaders who are consistently applying actions that foster organizational excellence, and impact results that matter. Registration is open. You will hear from leaders from a variety of backgrounds who are using evidence-based leadership practices to set clear expectations, reduce inconsistent performance, develop and support teams that are adaptive to change, and create a culture of excellence. We provide plenty of networking and sharing opportunities that allow you to connect with our team, our partner districts, and other leaders across the nation. 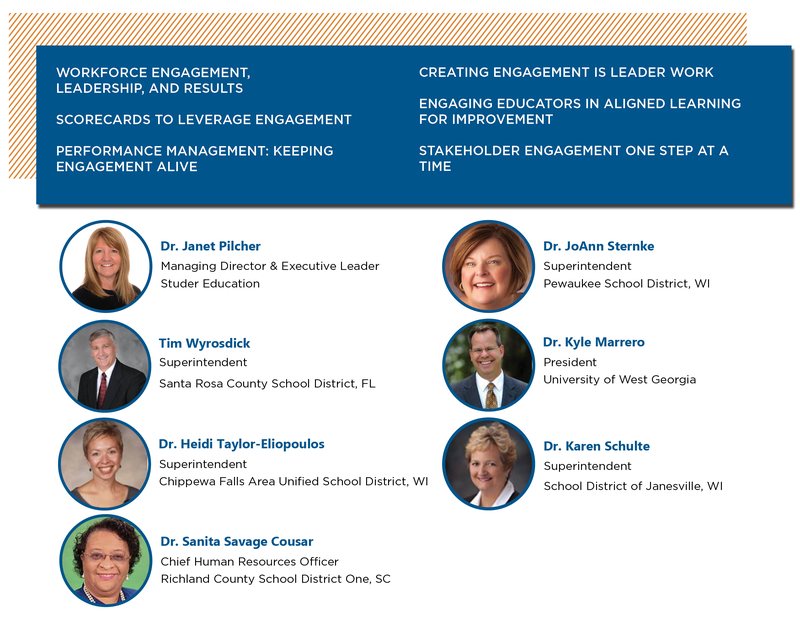 Plus, you’ll hear from districts who have just begun to implement evidence-based leadership tools, as well as from leaders who have long-used EBL to revitalize their leadership teams, teachers and culture. You’ll also have the opportunity to hear from leaders in related sectors, such as health care. A block of rooms has been reserved at a discounted rate of $229/night for event attendees. *Rooms available at this rate are now only available the night of November 26. There are rooms available at the nearby Hilton Garden Inn for the night of November 26 and November 27 for $241/night.